The time slot you choose does not apply to other activities such as, craft making, or the Easter Trail, it is only for your Train Ride to visit the Easter Bunny. All other activities can be done at your own leisure either before or after your booked time*. 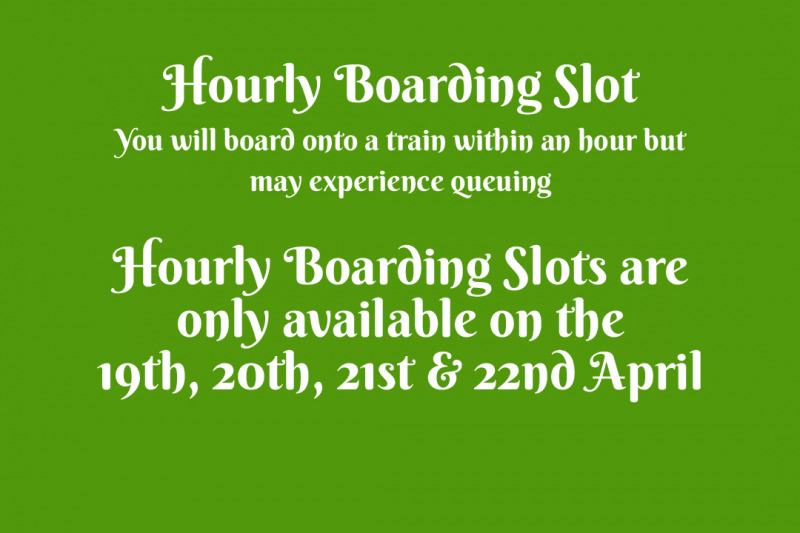 *If your Hourly Boarding Slot is 3.00pm or later, we recommend you turn up before hand as the activities will close when the last train leaves the station which is 4.40pm. The Fairy and Elf Walk is not included in this event. It does not open until the 4th May 2019. The Easter Trail is included instead of the Fairy and Elf Walk.